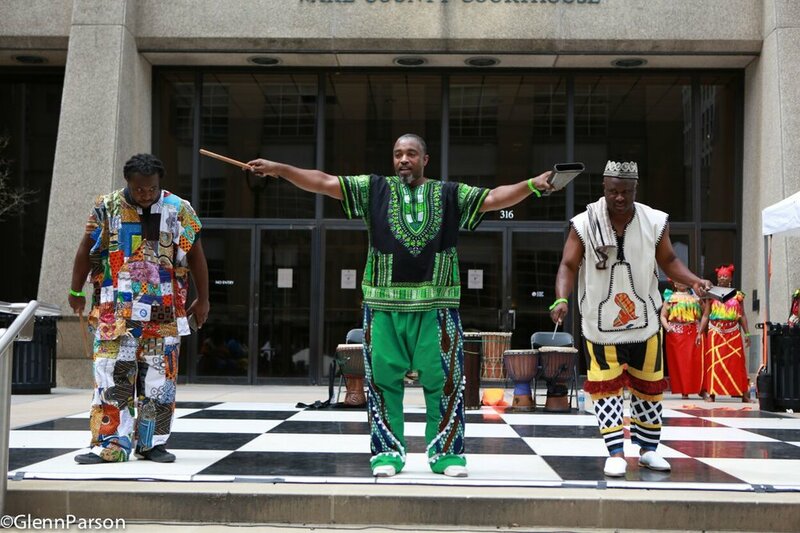 The 2019 African American Culture Festival will take place in the heart of Downtown Raleigh -- along Fayetteville Street, from Martin Street through City Plaza. The Sheraton Raleigh sits within the Festival footprint, and it affords guests a convenient location from which to experience all the Festival has to offer. We will post a link to the AACF rate in August. The Raleigh Marriott City Center is also within the Festival footprint, closer to the Main Stage. We will have a special room rate for AACF visitors at the Marriott City Center. Check back in August for access to the AACF rate. Take exit 298B, South Saunders Street, going North toward downtown Raleigh. South Saunders Street becomes McDowell Street as you enter the downtown area. The festival is two blocks east of the corner of McDowell and Davie Streets, along Fayetteville Street. Parking decks and surface lots surround the downtown area. City-owned lots and decks will be open all weekend, although a small daily fee may be charged. State government visitor lots are typically available for free parking during weekends. For more information about parking in and around downtown Raleigh, visit the Downtown Raleigh Alliance's website. The free R-Line Downtown Circulator bus can also help you get around downtown. Please feel free to bring your own lawn chairs to the festival, especially if you'd like a seat near the stages. Of course, we welcome everyone to get up and dance! Please watch the weather forecast and plan accordingly. There is no rain venue, so please bring umbrellas or raincoats if necessary. Please note: private coolers and alcoholic beverages not purchased from the festival concession are not permitted. Well behaved dogs are welcome, but please be respectful of other attendees. At times, the festival site can be very busy and may not be suitable for some animals. It can be very hot Labor Day weekend and this is an outside festival - so please stay hydrated! There will be water sold at the festival, but you may also bring your own water bottle.